What started as a method to improve and streamline software development, agile project management is now becoming a popular way to tackle projects, prioritize tasks, and get things done. Behind software development, financial services and professional services are the industries adopting agile project management methods at the highest rates, but even healthcare and government are coming on board. Studies show that upward of 70 percent of organizations nationwide rely on agile project management, with most of those only fully adopting it within the last six years. The goal of the agile project management method, in short, is continuous improvement. This is achieved by teams working on small, digestible projects in short bursts known as “sprints” until an entire large-scale project—like a product or service—is complete. Agile project management has been around in some form since the 1970s, but the publication of the Agile Manifesto in 2001 sought to change the way software developers and businesses approached their tasks and technological needs in order to avoid frustrating time lags, cancellations, and resulting changes in customer requirements. The Agile Manifesto was written over a snowy weekend at a Utah retreat by 17 software practitioners who felt that waterfall and other development processes had gotten bogged down over the prior few decades and were a detriment to the work. While a number of different “lightweight” processes existed, none was really the standard. The manifesto hoped to change that. It prioritizes individuals and interactions over tools and processes; functioning software over comprehensive documentation; customer collaboration over contract negotiation; and responses to change over strict adherence to plans. Customer satisfaction is priority no. 1, achieved through early and continuous delivery of software. Changing requirements are welcome—even late in the game. In fact, the agile project management method allows for such changes to provide a competitive advantage. Working software is delivered often, preferably every couple of weeks. Developers work with the business side of the company on a daily basis. Motivated people drive the work. When given the right support and environment, they should be trusted to complete the project. Face-to-face conversation is the most effective way to convey information. The agile project management processes promote sustainable development. A constant pace should be able to be maintained indefinitely. Agility is enhanced through attention to technical excellence and good design. The best architectures, requirements, and designs come from self-organizing teams. Teams regularly discuss how to be more effective and adjust their work accordingly. Let’s take Scrum as an example, since it’s a commonly used method. Scrum organization relies on short bursts of work called sprints and daily meetings called scrums. Developers are organized into teams, and there’s also a scrum master and a product owner. The process begins when the product owner creates a product backlog, detailing all the tasks that need to be done for a project. Each team then chooses an item from the backlog and decides how to tackle the task. Next, each team works to finish its task within two to four weeks; this is the sprint. At the daily scrum, the teams update the scrum master on their progress. At the end of each sprint, each team’s work is reviewed and if adjustments need to be made to the process, they are. The process begins again, with each team selecting another task from the backlog until all tasks are done and the project is completed. Another popular agile project management method, Kanban, relies on visualization and a “three-bin system.” Cards or Post-it notes listing tasks tare placed in the first “bin,” the “to-do” bin. When teams select tasks, they move cards into the “doing” bin. When the task is complete, it is moved into the “done” bin. Kanban focuses on minimizing unfinished work and waste, visualizing the process as a whole, and continuously improving methodology. You can find a comparison of some of the main agile project management methods here. By breaking down projects and requiring constant communication, agile project management methods increase transparency, flexibility, and productivity. They also improve time management, decreasing the likelihood of missing objectives or deadlines, and lead to higher-quality deliverables that better meet customers’ needs, leading to higher customer satisfaction overall. 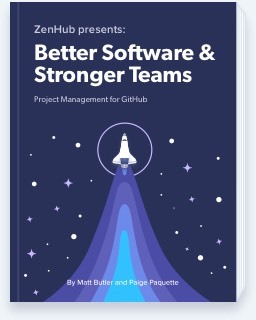 What’s more, agile project management methods make it easier for developers to find and fix issues and bugs, increase collaboration and feedback, and lead to faster turnaround times. Agile project management has become more popular in recent years partly due to the digitization of work and collaboration. Visualizing a project’s trajectory and breaking a project down into manageable pieces allows company-wide transparency into a project’s progress and ensures that methods are aligned across the board. Flexibility and transparency are key in a digital world, and agile project management places those values front and center. Agile project management is also easily adaptable, which makes it ideal for use in a variety of different situations. While the details of agile methods themselves can be combined, agile as a whole can also be blended with entirely different project management methods, often for other phases, to create various hybrids. For instance, agile project management can be combined with waterfall, a popular project management method for planning or other more comprehensive aspects of a project that may require a slower approach, without the quick, iterative steps so well suited to agile. Of course, even though agile finds a home on many project teams across industries, it may trip up developers or customers if not applied properly or if it’s used for a project that may just not be quite right for this method. Agile project management may not be right for a project if the customer hasn’t clearly defined his or her goals, or if a team isn’t great under pressure and deadlines. Larger companies with rigid structures and processes may also find themselves at odds with the agile methodology. It’s not enough for a development team to be on board with agile; executives, customers, and other stakeholders must also be willing to adapt. The nature of agile project management also emphasizes deadlines, which means that testing might end up being rushed, leading to defects, if developers focus on the deadline and not the product itself. To that end, agile teams need to remember that working software, and not just met deadlines, is among the guiding principles of agile project management. While early agile project management took place on pen and paper or on Post-it Notes on a whiteboard, these days, many companies use software specifically geared toward agile. At ZenHub, we aim to power agile development within GitHub, allowing developers to track their progress and monitor tasks in GitHub’s native environment, streamlining the process even further. A number of certifications are also available to solidify one’s agile knowledge and skill set, which may be useful as agile project management experts come into high demand as the methodology becomes increasingly popular. Certifications can come from PMI-ACP, the Strategyex Certificate in agile, APMG International, Scrum Alliance, or the Agile Certification Institute, among others. Finally, companies like Microsoft provide a variety of templates to help guide agile project management.